Boris Nemstov is dead and he is being eulogized for fearlessness and bravery as a known critic of Vladimir Putin. World leaders have asked for transparent investigation into Nemstov's assassination. Some people have said that the state or opposition may have killed Nemstov, and others say forces against peace in Russia may have killed him to create problem for Russia. No arrest has been made in the assassination. The Russian government has condemned the assassination and has ordered an investigation into the murder, placed under Putin's direct control. The BBC reports that Putin has vowed to bring Nemstov's killers to justice and praises Nemstov's openness and honesty. Some observers say it is naturally not expected that investigations into Nemstov's assassination be under Putin's direct control, while others say that Putin may want the investigations under his direct control to ensure Nemstov's killers are apprehended to safe his own name and integrity. The outcome of events surrounding Nemstov's murder is still uncertain, but people say it casts pall over freedom to criticism in Russia and puts the government on defense, as reports are showing that Nemstov has been critical of his country over its engagement in Ukraine and the war there. Further, Nemstov is reported of having had a plan to write a book about sordid involvement of his country's leadership in Ukraine. It is why people say Nemstov's assassination is a bad act that doesn't portray Russia's leadership in good light. 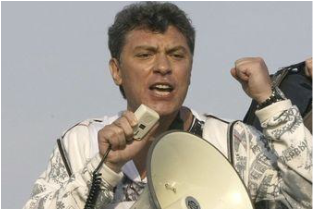 Nemstov himself a former deputy prime minister under Boris Yeltsin is said to belong to power group and that is making people to wonder about his assassination, because he does not belong to the lower economic class fighting the upper class. It has been noted that his girlfriend, Anna Duristkaya, from Ukraine has wanted to return to Ukraine after His assassination, but the authority have disallowed her, because her lawyer said her movement has been restricted and may be subject to additional investigative action. Meanwhile public demonstration seeking thorough investigation that will lead to the arrest of Nemstov's killers has been held in the country with over 50,000 people participation. The government has allowed the administration as a way to show it has no hand in the assassination by allowing 50,000.